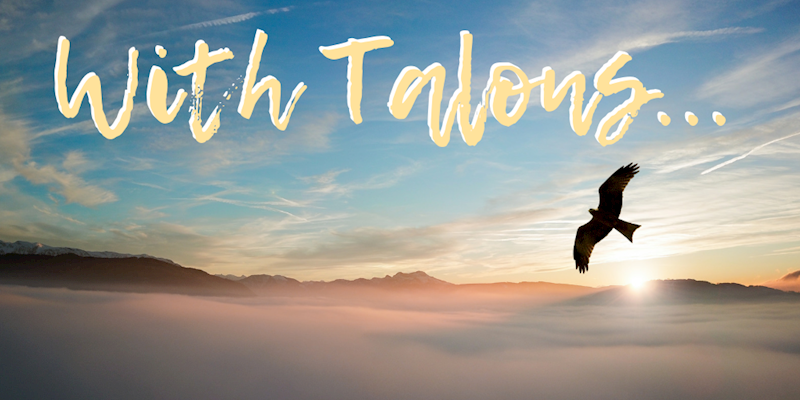 Ko-fi - With Talons, to the Sky - Ko-fi ❤️ Where creators get paid by fans, with a 'Buy Me a Coffee' button. This is a story of the Bear Empire, the setting for my "Running in the Bear Empire" story of Deline and Carrone. It was said, by those whose priests spoke to gods shaped like men and women and amorphous mists and not like bears and elk and big cats, hawks and badgers and so on, that to pray to a god who was named an animal, one had to act like that animal, speak like that animal, think like it. Taroma knew this for two reasons. She knew it because she had been born in Dekleg, where people said such things, where the priests spoke to three greater gods and five lesser, eight minor and thirteen trivial deities and all but one shaped like men and women. She knew it, too, because as a Talon of the Eagle, she had spread more than a few of those rumors herself. She knew that these stories were just that, too — stories and rumors, meant to make the enemy — for Dekleg was the enemy, no matter what the treaties said — think less of the Empire and the others who prayed to the spirits of the land, to make them underestimate them, to think them handicapped by their need to screech and caw, growl and snarl and crawl. Today, though, she climbed as high as she could climb in one-third of the thin daylight. She ascended the parts of the mountain that none but those of the Eagle and the birds themselves reached, and she climbed higher. She climbed until the air started to be hard to breathe, and there, she found herself a place like a giant nest and she sat, staring out at the sky, at the frozen land of the north, at the clouds that never really left, just sometimes took a break for a few moments. There were places Taroma felt like she was nothing but another voice in an endless choir. Deep in the capital city, in any city, she could not hear her mind for the chattering. There were places she felt like she was an Eagle Talon, and this was the best of them. Grant me guidance and sight, she prayed, staring at the patterns of the clouds. Mother Eagle, grant me the peace that comes with the perfect dive and the perfect attack. Grant me understanding of my direction. In the sky, an eagle soared. Soared, swooped, and came back up, carrying a rock-coney in its talons. Taroma smiled and made her way back down towards the Capital and the Imperial Compound. She had a decision to deliver and her own coney to catch. And if she let out her own trilling call to the sky, well, rumors existed for a reason or two, didn’t they?